Vol. LXXVI (2018) - No. 269 Aprender a ser. Por una pedagogía de la interioridad [Learning to be. For a pedagogy of interiority]. Buxarrais, M. R. and Burget, M. (Eds.) (2016). Aprender a ser. Por una pedagogía de la interioridad [Learning to be. For a pedagogy of interiority]. Know yourself and care for yourself, then you will be able to care for others. This is perhaps the maxim on which the book Aprender a ser. Por una pedagogía de la interioridad is based. Reading it is a constant invitation to look inside ourselves, conquer our own being, and from there, connect with the outside world. Contemplation, meditation, asking questions of oneself, listening to oneself, are some of the suggestions, common to this work’s sixteen chapters for cultivating our mental, spiritual, emotional, and rational sides: in other words, our interiority. Under different names or titles including Pedagogía de la interioridad (Pedagogy of interiority), Habilidades para la vida (Life skills), Autoconciencia (Self-awareness), and Yo místico (The mystic I), its authors inquire into the power of education as a guide in the complex process of learning to be. 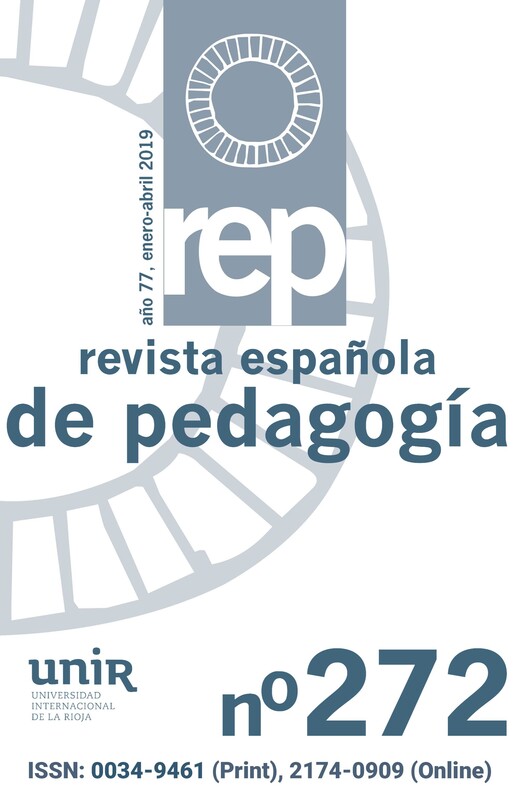 With the single aim of demonstrating the important need to establish a pedagogy of interiority, the book is divided into two parts: a first one which provides an overview of different ideas and theoretical reflections on being as a concept, and a second one that presents real educa‑ tional practices in different contexts and educational stages and with very varied activities. This book’s proposals unavoidably recall the 1996 Delors report from UNESCO, Learning: The treasure within, and two of the four pillars on which Aprender a ser y aprender a vivir juntos (Learning to be and learning to live together) is based, offering a challenge to education in the 21st century. The first chapter attempts to establish the structure of the pedagogy of interiority, suggesting that the world of education uses powerful tools such as art and beauty to mobilise people’s tendential be‑ ing towards knowledge. According to this theory, the person «can be divided» into three dimensions: essential, existential, and tendential, thus turning being into something that is essentially universal and unique. But it is also a tendential be‑ ing, in other words, an incomplete being that wishes to perfect itself. Perhaps re‑ calling Aristotelian wonder and astonish‑ ment, the text regards this ambition, as an impulse for knowledge. This admira‑ tion stems from the fact that the human being, even as part of reality, has the ability to ask itself about it, and conse‑ quently wants to know about it. The valu‑ able role of beauty and art as drivers of knowledge, must be recognised and used in education. Knowing reality also involves becom‑ ing aware of oneself, knowing oneself. Chapter two of this book, drawing on current evidence from neuroscience, opts for self-awareness or meta-awareness, different from the conscience, a reflection on our own mind, our thoughts, and performing a critical analysis of our own being. When speaking of self-knowledge, an effort is made to give it a meaning that is not just superficial. This knowledge will necessarily lead to the ethics of care for people; in other words, caring for oneself and consequently for others. Caring for others, in the words of Gilligan (1982), entails helping them grow. In turn, being someone who cares can help us to find our true being and be the impetus of our own development. The ethics of care, described in the third chapter, are vital for the development of the human being, a being who, according to Simone de Beauvoir (1949), «is born, grows, and reaches fullness anchored in a framework of interpersonal affective connections». Contact with others must lead to care for others and for our own being. Classrooms are undoubtedly the first, more or less stable, social network where the ethics of care can be put into practice. Chapters four and five, continuing with the idea of the ethics of care, focus on accompanying students, meeting their needs, and addressing their emotions. The concept of the enneagram is used, which by describing nine types of personality, attempts to find the closest profile to the student and so make the most of each individual’s potential. The enneagram is a tool with great potential that shows each student their «gift» and shows them the best of themselves. The following chapters repeat a frequent error into which current education falls. Current education generally goes «outwards» to «implement the curriculum» or comply with a particular piece of legislation that does not consider or prevents the development of another pedagogy. Nonetheless, education must go «inwards», and once there, start building bridges towards the outside, not forgetting that educating interiority is not necessarily limited by the curriculum or by a specific law, given that this is content that is present in everyday classroom activity. The second part of the book, and perhaps the most attractive, contains examples and practical implementations with the aim of educating being and its relationship with interiority described in different educational situations. The Universidad de Barcelona has a module («Analysing educational relationships») on its Social Education degree that was created based on the idea that to relate with others it is first necessary to relate with ourselves and with our inner sphere. The results and impressions of the students on this module range from surprise to gratitude. Nonetheless, the most numerous proposals are based in compulsory education. One of these is the Antonio María Calero secondary school’s proposal to practise recognition through everyday exercises that do not fall within the framework of any law or programme. This proposal aims to attain moral authority, in a scenario where the teaching role is some‑ what blurred. It seeks authority through recognition of the students, through greeting, interest in their feelings and their concerns. Other interesting practices, such as the one described in chapter nine, focus on the corporeal being, knowledge of which is also necessary for attaining the spiritual being. Attention to the body, our posture, our motricity, is perhaps the prelude to interiority. Chapter 10 presents a workshop with the aim of discovering the inner being. Silence, sustained attention, breathing, meditation, body scan, are used in many of the practices that are presented here as useful for connecting with our inner being. The mediation activity of the «GAC a l´escola» (Alternative conflict resolution at school) project in Barcelona should be mentioned, as it has different overtones from the other practices described throughout the book, as does the personal project at the Cor de María-Sabastida school, where pupils will finally realise that the greatest discovery they will make in life is themselves. Ultimately, knowing ourselves is a much more complex task than we might initially think. Self-knowledge entails putting our feelings and thoughts into words, sharing them, connecting our inner self with the outside world, listening to ourselves, caring for ourselves and others, taking a moment of silence, being conscious of our bodies, our corporeal being, our breathing, our spirit, what we are, what we believe we are, and what we can come to be. The challenge this book proposes is a complicated and unknown adventure, a journey into the interior of oneself. The suggestion raised from reading Aprender a ser perhaps derives from Luis Magriña’s idea that Ylla Janer mentions in the book’s prologue: «What we have is of no importance. What we are is something we always carry with us.» Something that will accompany us throughout our life undoubtedly deserves being known, cared for, looked after, and, why not, worked on, to make it, as Foucault proposed, a work of art.